Announced in September 2016, the Sigma 500mm f/4 DG HSM S (Sigma 500mm f/4) is a super-telephoto prime lens for professional sports, wildlife, and press photographers, and for paparazzi. Available in Sigma, Nikon, and Canon lens mounts, the Sigma 500mm f/4 has been designed specifically for use on full-frame DLSRs such as the EOS 5DS R. This review reports on the performance of the Canon mount version. The latest Milvus range of DSLR lenses for Canon and Nikon from renowned German lens manufacturer Carl Zeiss are marketed to offer high-quality optical performance in a similar price bracket to such high-resolution options as Sigma’s Art range or Canon’s L-series lenses. The manual-focus Milvus range offers all-metal dust- and splash-proof construction, large rubberized focus ring, smooth manual focus control, as well as engraved focus distance and depth of field scales. Announced in September 2015, the $1117 Carl Zeiss Milvus 2/35mm ZE Canon (Milvus 35mm f/2) is an EF-mount lens designed specifically for full-frame Canon DSLRs, such as the EOS 5DS R.
Announced in February 2016, the $749 Tamron SP 85mm f/1.8 Di VC USD (Tamron 85mm f/1.8) is a fast, short telephoto prime lens available in Canon, Nikon, and Sony lens mounts. This review considers the performance of the Canon version. 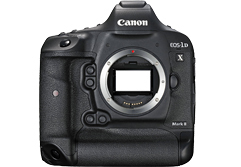 With an all-new 20.2-Mpix full-frame CMOS sensor featuring dual DIGIC 6 processors, a native ISO range up to 51,200, and continuous shooting at up to 14fps, the Canon EOS-1D X Mark II is the latest top-of-the-range model in the maker’s lineup. Read on to find out how well this new sensor performs. As the eagerly-awaited successor to the 16-Mpix D4s, the new Nikon D5 boasts an all-new 20.8-Mpix full-frame CMOS sensor with ISO up to 3.28M (yes, million), 12 fps continuous shooting, a new 153-point AF system, and 4K (UHD) video capabilities. Read on to find out how well the Nikon D5 performs.